DejaNu is bringing festivals, theaters, and clubs a new audience. The audiences who love the classics are also hearing the amazing talents of Jennifer Bruce and her jazz quartet as they brilliantly weave the classic songbook with a new spin of songs originally recorded in the pop style but with the right twist. 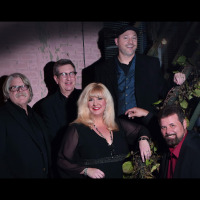 They have given songs written by such acclaimed artists as Paul Simon, Carol King, Stevie Wonder, Burt Bachrach, Hall and Oats and the Everly Brothers new life and have audiences turning their heads and returning each time they have an opportunity to hear the New American Songbook. Jennifer Bruce, the power behind the microphone, is a multi-talented song stylist who has the chops to cover the great tunes of all time and embraces some new tunes and before you know it, the old and the new songs are seen as the New Jazz Book. This versatile chanteuse has been influenced by many musical genres. A self-proclaimed old soul, Jennifer has a rich, sultry, soulful voice, and excels at song interpretation reminiscent of many classic torch singers. Jennifer Bruce and DejaNu will release their second album of New American songbook classics in the spring of 2018. Jennifer is also touring shows heralding the great woman of jazz and Tin Pan Alley. She is performing all around the country and is thrilled to be with DejaNu. Steve Willets, Nashville’s beloved man behind the keys whose performance credentials include a wide variety of artists such as Sandi Patti, Michael W. Smith, Steven Curtis Chapman, Brenda Lee, Bonnie Bramlett, Crystal Gayle, Boots Randolph and many others. He composes and produces custom songs for many of today’s major corporations, including; Honda, Dollar General, Bridgestone/Firestone and Harley Davidson. Ray Von Rotz is a published author and has been one of Nashville’s most in-demand drummers and percussionists since 1979. He has been the drummer on The General Jackson Showboat for the past 18 years. He has performed around the world with a variety of artists and almost every genre of music. Among the artists Ray has performed and recorded with are Boots Randolph, Al Hirt, Engelbert Humperdink, The Mills Brothers, Tony Orlando, Lee Greenwood, the Nashville and Milwaukee Symphony Orchestras just to name a few. David Spicher, DejaNu’s bassist and son of legendary fiddler Buddy Spicher has been an accomplished studio musician here in Nashville for many years. He has played bass with some of the best in all genres of music, including Kathy Mattea, Pam Tillis, Crystal Gayle, Jerry Douglas, Brian Setzer, Lorrie Morgan, the Nashville Symphony, Buddy Spicher’s Nashville Swing Band, and many more. Cole Burgess has been one of Nashville’s premier reedmen for many years, working with various Big Bands and jazz groups here and around the country. If you’ve been fortunate to have seen this new star on the horizon, you’ll love to see them again, and if this your first time, you’ll soon be a great fan as they herald the classics and graduate some of our great pop favorites into the new library of great jazz standards. All About Jazz musician pages are maintained by musicians, publicists and trusted members like you. Interested? 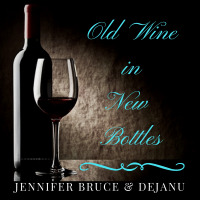 Tell us why you would like to improve the Jennifer Bruce & DejaNu musician page.